Having started his career at Pivotal in 2007, and becoming partner in 2012, Dave's longstanding clients benefit from his specialization in tax and valuation service delivery, as well as private enterprise and family/owner-managed businesses, and income tax compliance services for corporate and personal clients. 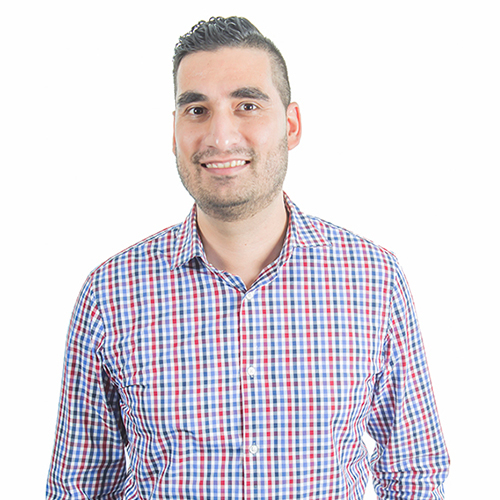 Dave is passionate about helping clients create and efficiently deliver value in their own businesses. A holder of the Chartered Business Valuator (CBV) designation, Dave's expertise lies in guiding clients through all stages of a business sale and evaluating business acquisitions, including determining the financial value of a business, structuring transactions that allow for maximum value creation and successfully negotiating transaction terms in the best interest of his clients. Dave particularly enjoys working as part of a proactive, integrated team and to always do the right thing for clients. A BSI accredited ISO9001 lead auditor, who has also completed the In-Depth Tax Program at the Institute of Chartered Professional Accountants, Dave's holistic approach to accounting for all operational nuances when providing tax consultation makes him a preferred advisor to businesses in the medical, legal, construction, manufacturing and oil field service industries. Dave has been actively involved in the pursuits of giving back to his community and professional development. He has completed leadership skills development courses from Upstream Academy and Allinial Global. These skills not only benefit his firm and clients, but also the Central Alberta community. He is the Past Chairman and current Director of the Board of the Red Deer Airport Authority with service dating back to 2013. Dave is also a Board Member at the McMan Youth Family and Community Services Association, who support and encourage individuals and families to achieve their full potential. Ryerson University, where he earned his Bachelor of Commerce degree (class of '07), recognized Dave with an Alumni Achievement Award in 2016. This award was followed by the honour of recognition from the Institute of Chartered Professional Accountants with a Distinguished Service Award in 2017. Both awards celebrated Dave's achievements in the accounting profession, continued dedication to the community and commitment to professional development. 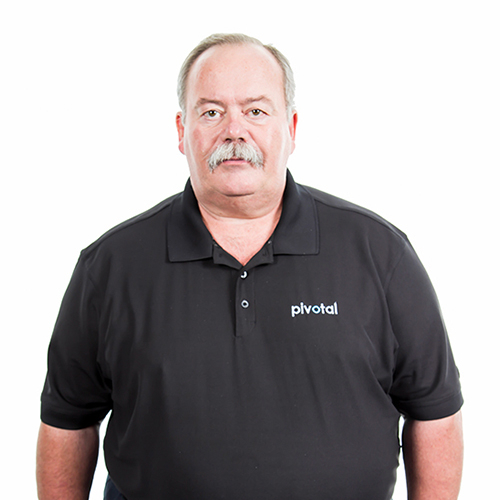 Don joined Pivotal LLP in 1982 and became a partner of the firm in 1990, earning him over 30 years of experience in various degrees of public practice. Don has a strong background in the area of auditing, and his engagements include a concentration on planning and supervision for the firm's audit clientele. Don attended Red Deer College and the University of Alberta, where he graduated with a Bachelor of Commerce in 1979. His proficiency in public accounting and auditing developed while training with Deloitte & Touche Chartered Accountants in Edmonton from 1979 to 1981. Don qualified as a Chartered Accountant in 1982, as a Certified Management Accountant in 1984, and as a Certified Internal Auditor in 2004. He is currently a member of the Society of Management Accountants of Alberta, the Institute of Internal Auditors, and the Institute of Chartered Accountants of Alberta. He also serves as an instructor for the Institute of Chartered Accountants of Alberta. Konstantin moved to Alberta from Russia in 2001 to pursue his studies, and then chose to stay and make Red Deer his home. Inspired by a professor who ‘broke the bean counter’ stereotype, Konstantin earned his business degree. After working with a not-for-profit; Konstantin joined Pivotal in 2011 and became a partner in 2018. He has a special interest in IT, and enjoys business development and networking. Konstantin is passionate about understanding and interpreting numbers. All the while, looking for trends and insights to help his clients form sound strategic and tax planning decisions. Those clients include, but are not limited to; not-for-profits, oil and gas, manufacturing, construction and professional services. He is a past treasurer of Tree House Youth Theater and a current board member of 100 Men of Red Deer focused on fundraising for charitable causes. When he’s not working, Konstantin loves trail and mountain biking, high intensity fitness at Orange Theory and visits to local craft breweries. 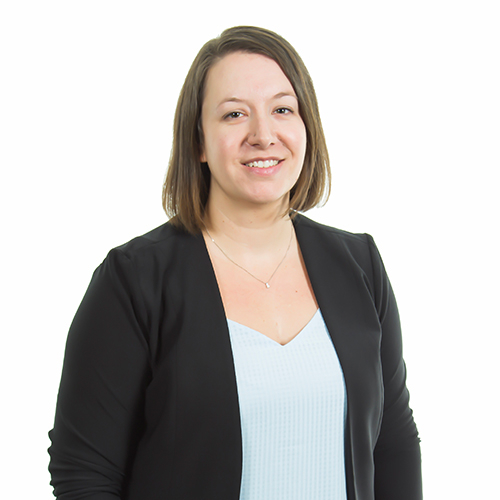 Stacey joined Pivotal LLP in September 2004 as an accountant after completing her Bachelor of Commerce at the University of Calgary. Stacey achieved her Certified General Accountant designation in 2007 and moved into a manager position at the firm with much success. Stacey was welcomed into the partner group as a principal in 2014 after taking some time to enjoy motherhood, bringing with her the quality work and accountability she has always demonstrated. Stacey continues to work closely with Human Resources to build her understanding of people management to ensure Pivotal LLP retains its family friendly atmosphere. While working with clients, she shares her previous experience with gas co-operatives as well as oilfield servicing. As a member of the Canadian Home Builders Association, Stacey also understands many of the challenges in that industry as well. In addition, Stacey provides tax planning services for both corporate and personal clients. Born and raised in Red Deer, Keith graduated from the University of Alberta in 1980 with a Bachelor of Commerce degree. 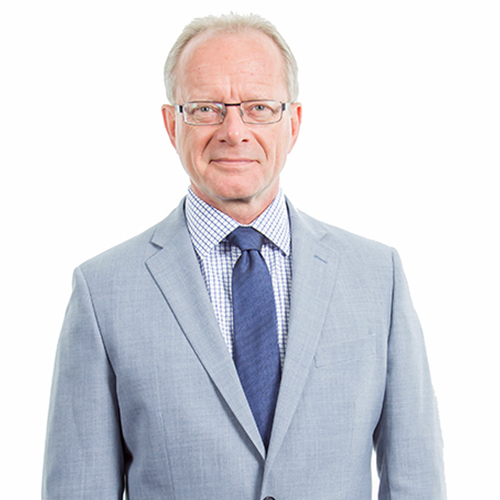 He then articled in Red Deer and earned the designation of Chartered Accountant in 1985. 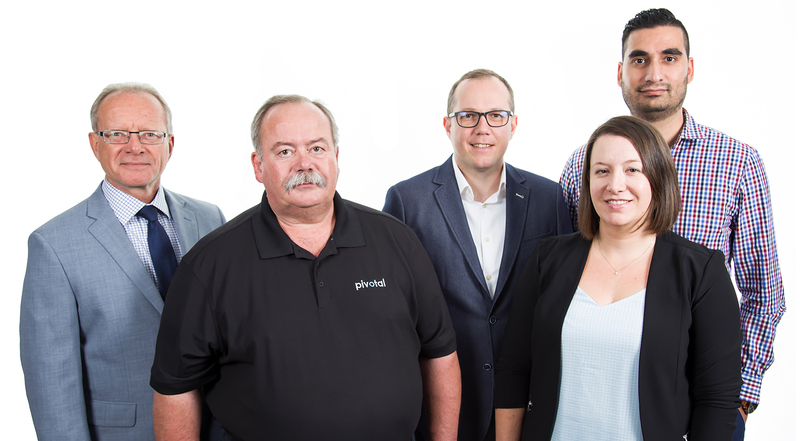 When joining Pivotal LLP in 1989, Keith came with a breadth of public practice experience from firms in Red Deer, Calgary, and New Zealand. He advanced to partner in 2006, and continues to share his knowledge as a member of PKF Canadian Tax Group. 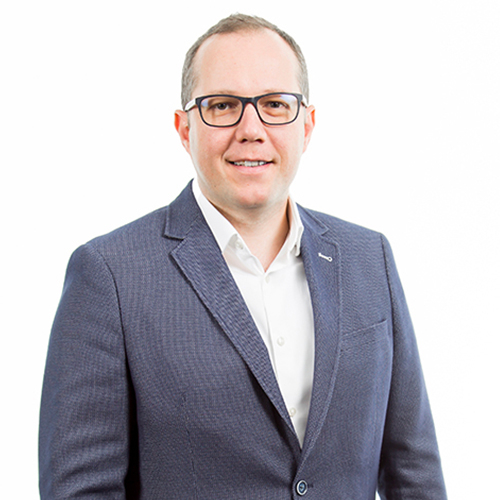 Keith is currently a member of the Institute of Chartered Accountants of Alberta and is enrolled in the Chartered Professional Accountants' In-Depth Tax program. He enjoys working directly with clients of small to large owner-managed businesses as well as larger not-for-profit organizations. An alumni member of both Red Deer College and University of Alberta, Keith has served the community as past Director and Treasurer of the Blackfalds & District Victim Assistance Society and past Member and Treasurer of the Piper Creek Optimist Club of Red Deer. Keith enjoys sports and physical fitness - particularly swimming, golf, cycling, and skiing.